Anne Fernald, professor of English and Women’s, Gender, and Sexuality Studies at Fordham University, will lead a reading group on Virginia Woolf and E. M. Forster at the Center for Fiction in Brooklyn. The cost of the five-session reading group, which begins Tuesday, Feb. 25, is $160. “These are always really fun ways for brilliant common readers to get together and talk books,” Fernald said. On Instagram, Fernald reported that a huge photo mural of Woolf dominates one of the landings at the Center. 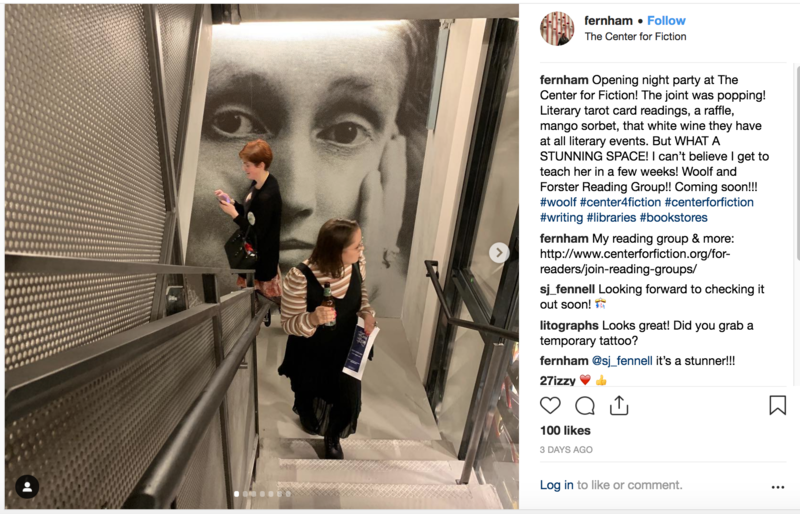 A screenshot of Anne Fernald’s Instagram post covering the opening night party at the Center for Fiction. Virginia Woolf is featured in a mural that dominates one of the stairway landings. Happy 92nd birthday to Cecil Woolf, nephew of Leonard and Virginia Woolf who still runs Cecil Woolf Publishers, a small London publishing house in the tradition of the Woolfs’ Hogarth Press. 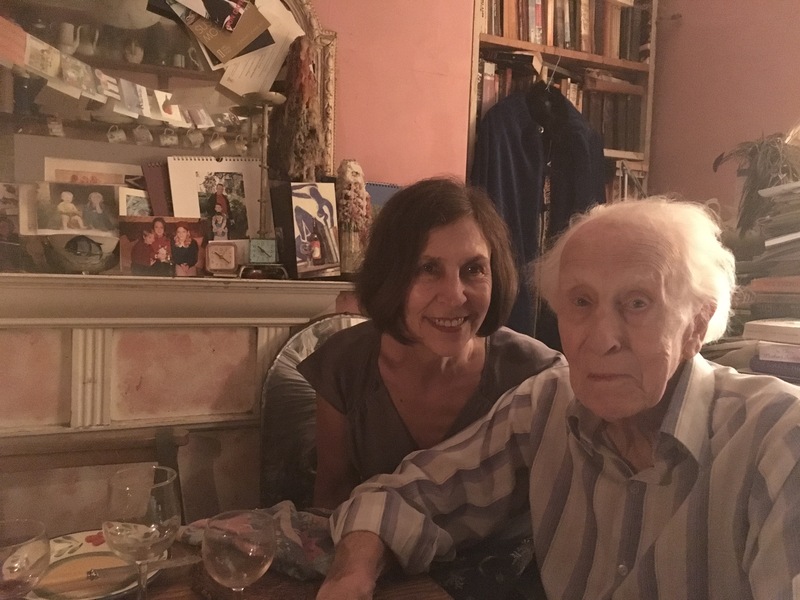 At dinner with Cecil Woolf at the London home he shares with wife Jean Moorcroft Wilson after the 2018 Annual International Conference on Virginia Woolf. As the oldest living relative of Virginia and Leonard, Cecil attends annual Woolf conferences as often as possible, where he displays his most recent volumes in the Bloomsbury Heritage series. He is often featured as a speaker at those events. And the reminiscences about his famous aunt and uncle and the time he spent with them are treasured by conference-goers. In 2017, Cecil published his reminiscences about Leonard and Virginia. Cecil Woolf: The Other Boy at the Hogarth Press, Virginia and Leonard Woolf as I Remember Them debuted at the 27th Annual International Conference on Virgina Woolf in Reading, England. 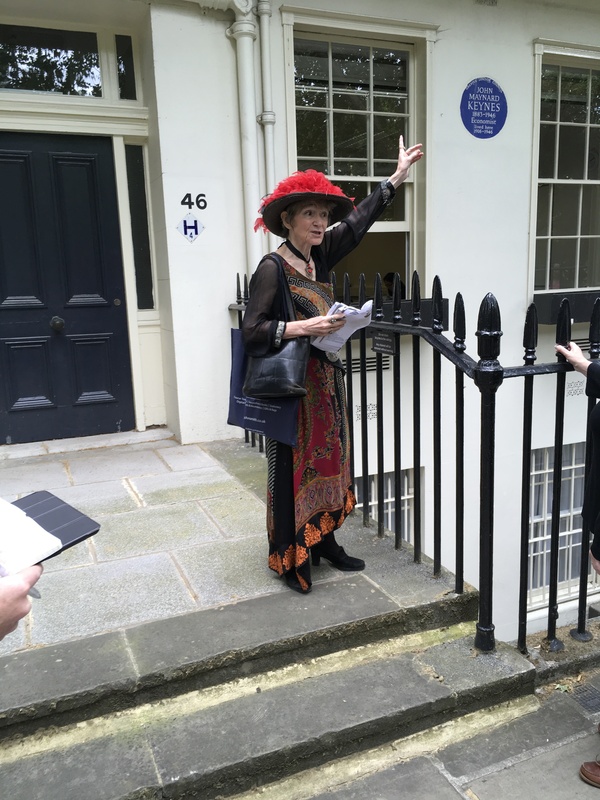 Always generous with his time and the ever-gracious host to international guests, Cecil gave me a personal tour of Bloomsbury after the 2016 Woolf conference. After the 2017 event, he and wife Jean Moorcroft Wilson hosted a post-conference party at their London home. And after the 2018 conference in Canterbury, the couple hosted a dinner for Woolf conference attendees still in London. Cecil also plays a more public role. He is often called upon to assist at ceremonies honoring his Uncle Leonard. 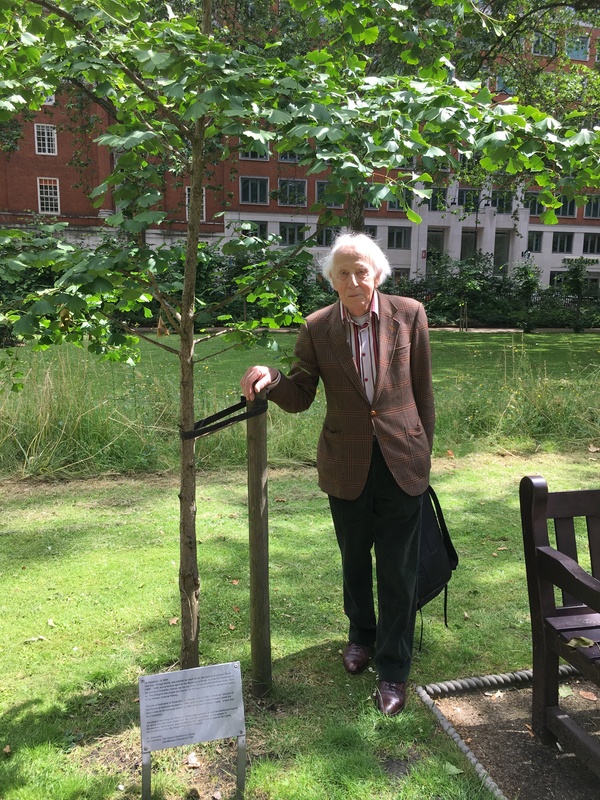 In 2014, he planted a Gingko biloba tree in Tavistock Square garden to commemorate the centennial of the arrival of his uncle Leonard in Colombo, Ceylon. In 2014, he spoke at the unveiling of a Blue Plaque commemorating his uncle’s 1912 marriage proposal to Virginia at Frome Station. And at the Woolf conference in New York City in 2009, he was interviewed by The Rumpus. 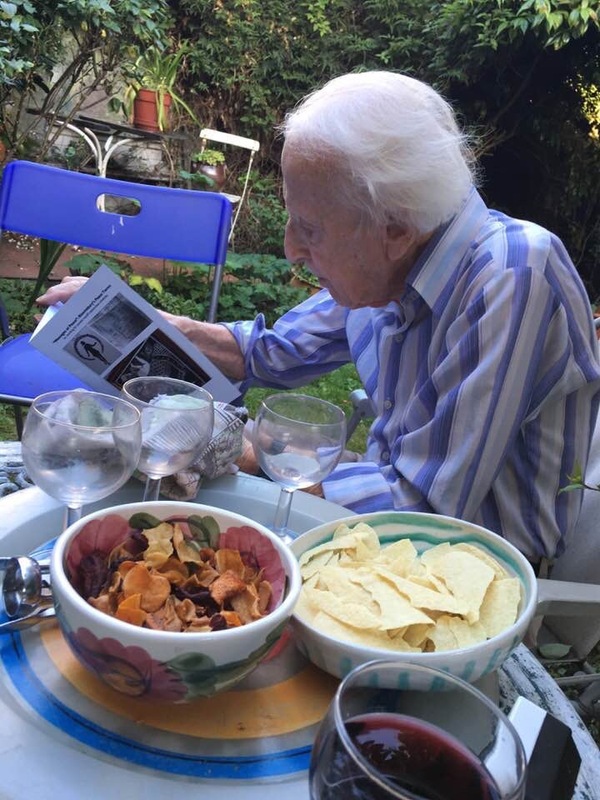 Cecil Woolf in his London garden the evening of a dinner party he and wife Jean Moorcroft Wilson hosted after the 2018 Annual International Conference on Virginia Woolf. 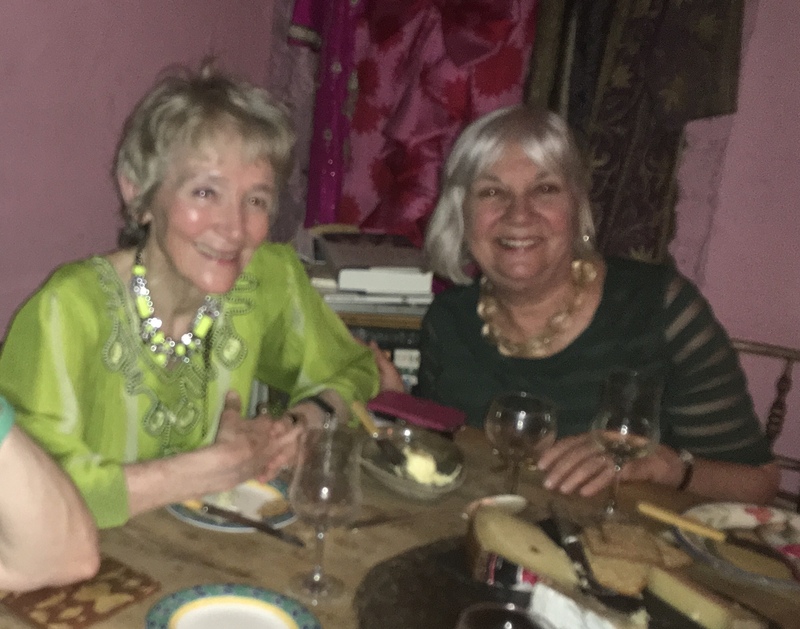 Hostess Jean Moorcroft Wilson with Patricia Lawrence at the post-conference dinner party in London in 2018. 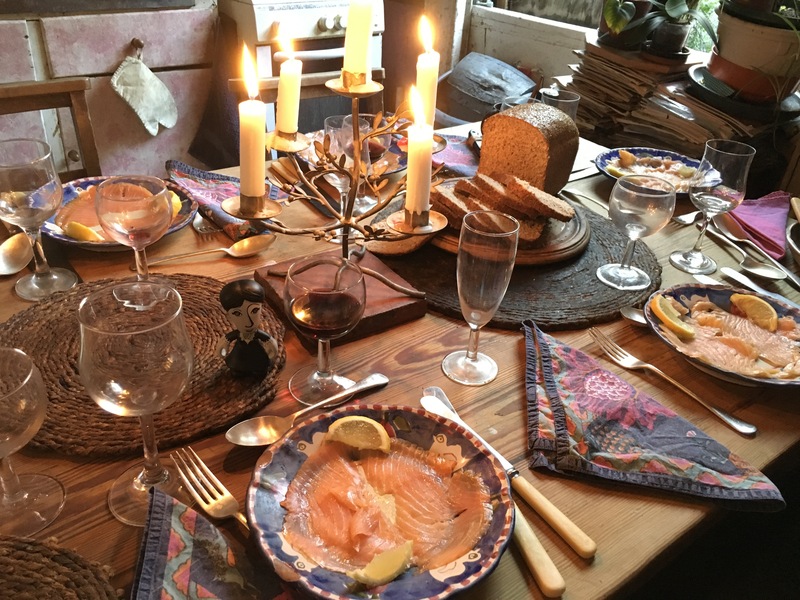 Dinner is served on the Hogarth Press table at the London home of Cecil Woolf and Jean Moorcroft Wilson. 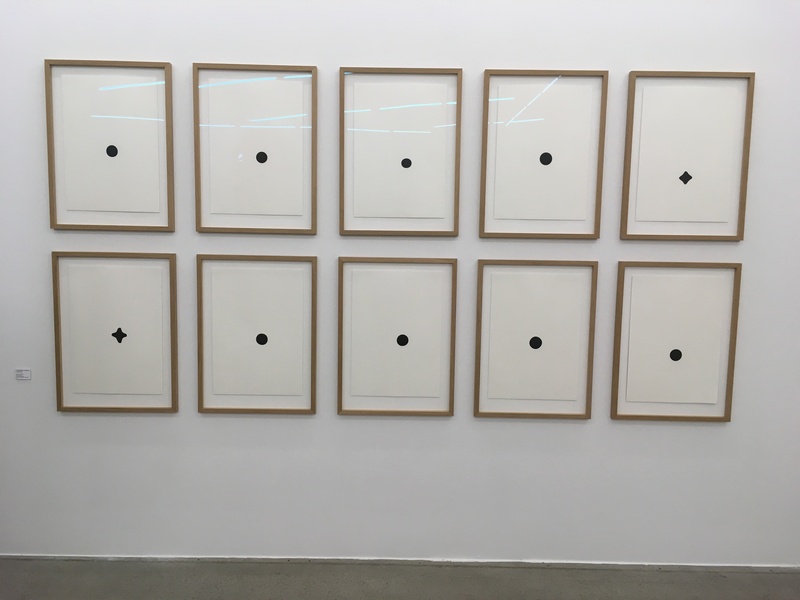 Common reader Nell Toemen had a real “Woolf-week” in January by first traveling to Oslo, Norway, to visit the opening of Ane Thon Knutsen’s PhD. 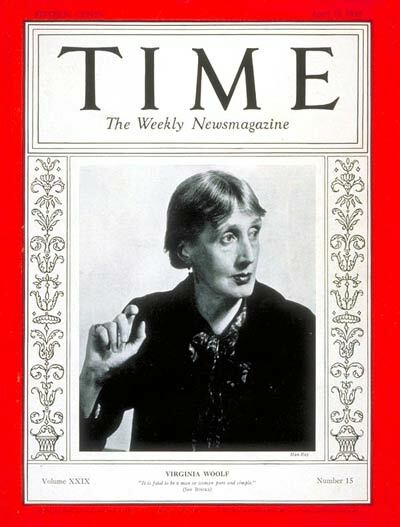 Exhibition, “The Mark on the Wall, and then traveling to London for Virginia Woolf’s Birthday Lecture by Stuart Clarke. 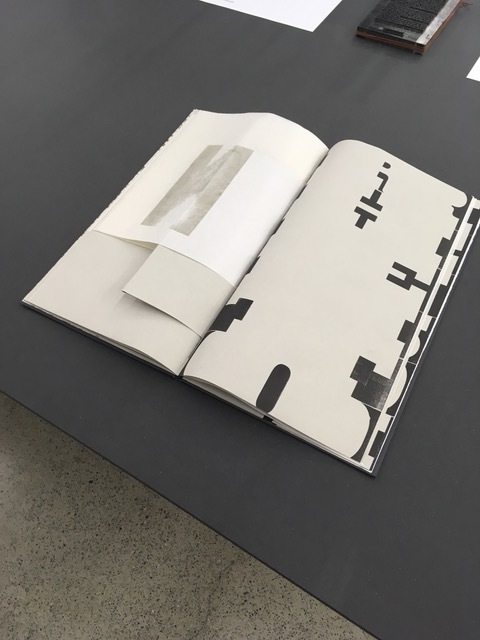 First there was some of her ‘Woolf-work’ in the Oslo National Academy of the Arts reflecting process, research, previous work and documentation). That same evening there was the official opening of the major installation of “The Mark on the Wall” in Kunstnernes Hus, an art institution in the centre of Oslo. 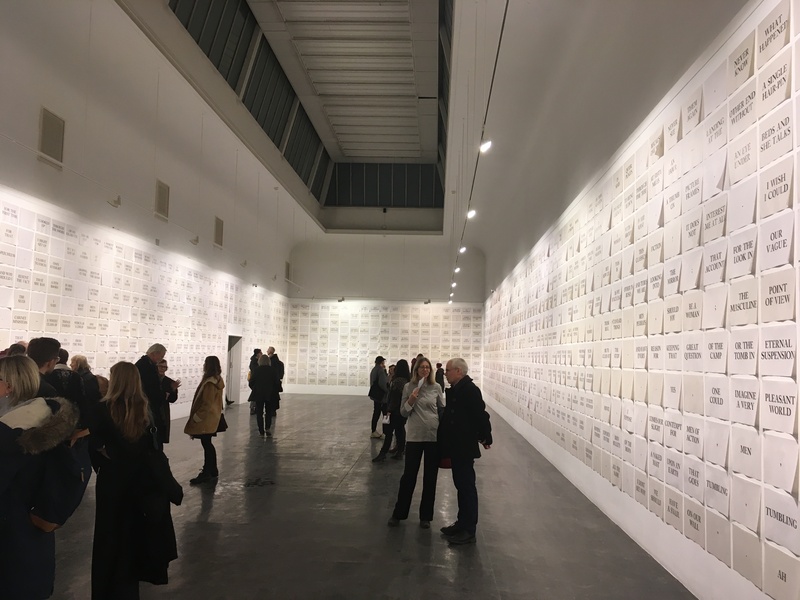 It was a surprise, this major installation, the result of Ane’s enormous work of typesetting and printing during last autumn as one could see on her website. It was really impressive: entering the room and wherever you looked words, words, punctuation marks and words. 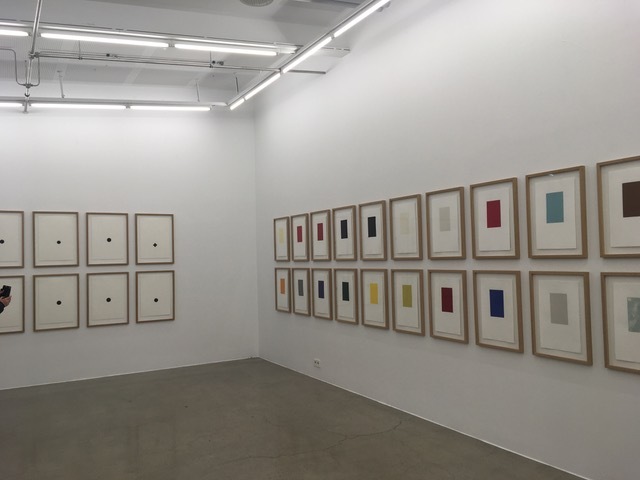 Woolf’s first publication in Hogarth Press, the complete short story “The Mark on the Wall” handprinted on I don’t know how many papers, white and off-white, neatly arranged so as to fill all the walls. If you would walk the room in eleven rounds you would be able to read the whole story. Reading it this way is an absolutely different experience than reading the story in a book. It was worth the journey. 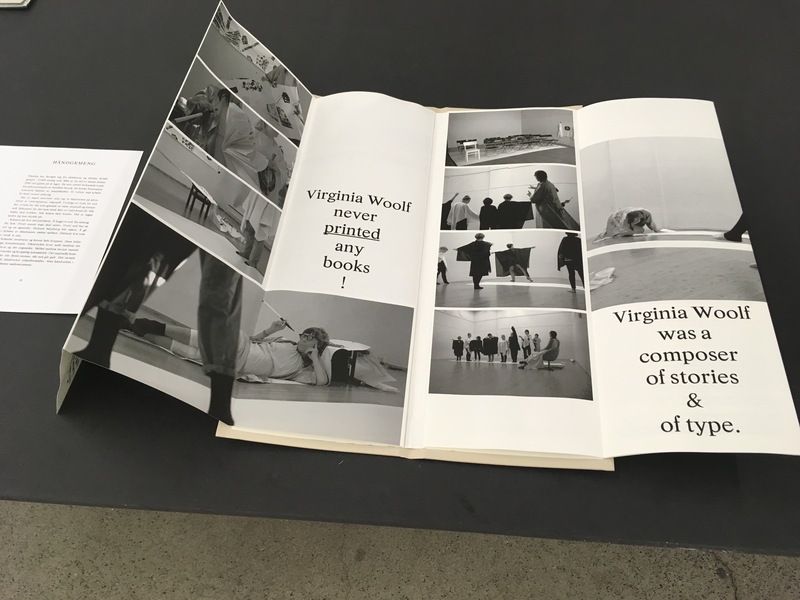 Below are the photos Nell sent Blogging Woolf to help readers get a better idea of the installation’s impact. There will be a Virginia Woolf connection at the 16th International Conference of the Brazilian Association of Comparative Literature (ABRALIC), July 15-19, 2019, at Universidade de Brasília (UNB), Brasilia, Brazil. 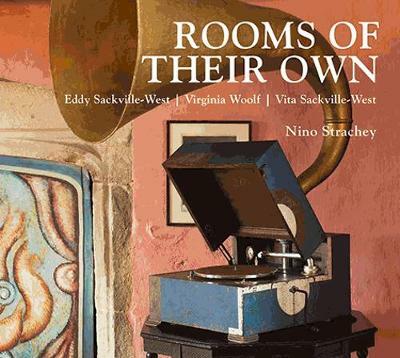 The conference will include a symposium on “Contemporary Readings of Virginia Woolf,” which will be coordinated by professors Davi Pinho, Maria Oliveira and Nicea Nogueira. Paper proposals must be sent through the ABRALIC website by March 15. The full call for papers in Brazilian Portuguese can be found on Page 86 of the symposium proposal booklet.